Play Cleo’s Wish Slot Machine at Slot Fruity! 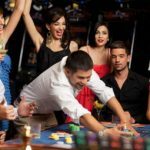 Egyptian theme-based online casino games are one of the most loved slots by the casino players. Here is another one titled “Cleo’s Wish”. 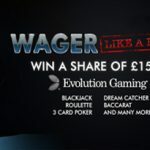 It has 5 reels, 3 rows and 25 paylines in total to get you exciting winning combinations. 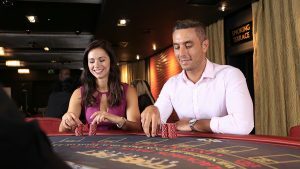 You will find the Goddess of Egypt present on the left-hand side of the transparent reels of Cleo’s Wish UK online casino slots game. The Pyramids of Egypt present in the background is making the slot look more magnificent. The bet starts at 30p but if you love wagering high, then you can put £60 as the bet amount for a spin. Use Autoplay feature to save your time spinning the reels automatically. The River Nile is flowing beneath the 5*3 matrix reels which include the symbols Scarab beetles flying all over the screen, bracelets, the Cleo’s Wish game logo and the regular playing cards literals (9, 10, J, Q, K and A). 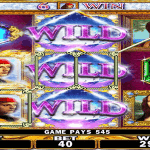 The Cleopatra which is the Wild symbol can give you cash prizes worth 500 coins when appearing in a number of 5 on any active pay line and will replace all the regular symbols to form winning combinations. The scatter symbol in the slot is the pyramid which is the key to many special bonus features of the slot. 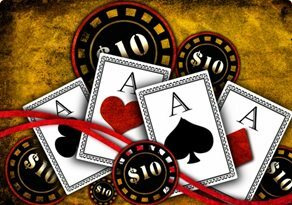 Sands of Fortune: The symbols of the game will be exchanged with an identical symbol to give you huge combinations. Added Wilds Reels: Some of the symbols will be replaced by the Cleopatra Wilds. Guaranteed Wild Reels: The whole reel will be transformed into wild reels, it can be only one reel or all of the five. 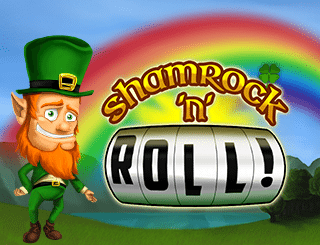 Free Spins: The 3 Pyramids will activate the free spin round and give you the cash bonus of 125 coins. Cleo’s Parade Free Games: The Cleopatra symbols will land on reel 5th which will move towards left after every one free spin. Once all the wilds finally reached to the first reel, this feature will end. 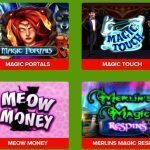 Eternal Riches Free Games: This is a re-triggerable round which can give you 5-10 free spins. 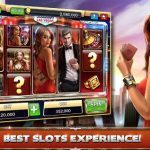 Once all the rounds of free spins are over then you can go for Super Spins – This time a meter will decide your fate – the number of super spins you will get along with the multipliers. The theme and the background makes Cleo’s Wish look fascinating. 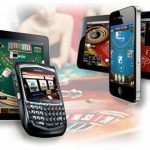 You can try out this online slots on any device including mobiles, with an RTP of 95.53%.